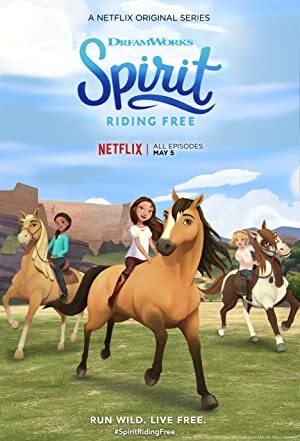 Spirit Riding Free – Season 7 (2018) – What's New on Netflix Canada Today! Seasons change, and so do Lucky’s adventures, whether she’s racing through the snow, outsmarting villains or soaring high in the sky! When city-turned-country girl Lucky meets a wild mustang named Spirit, she feels an instant connection to the untamable horse. A courageous and natural-born leader, Lucky navigates this new world with her two new best friends, Pru and Abigail by her side. The trio embark on thrilling adventures, find genuine friendship, and discover what it means to be free!